The Jersey club producer recruits DJ YungKiidd for her debut single on Nina Las Vegas’s label. 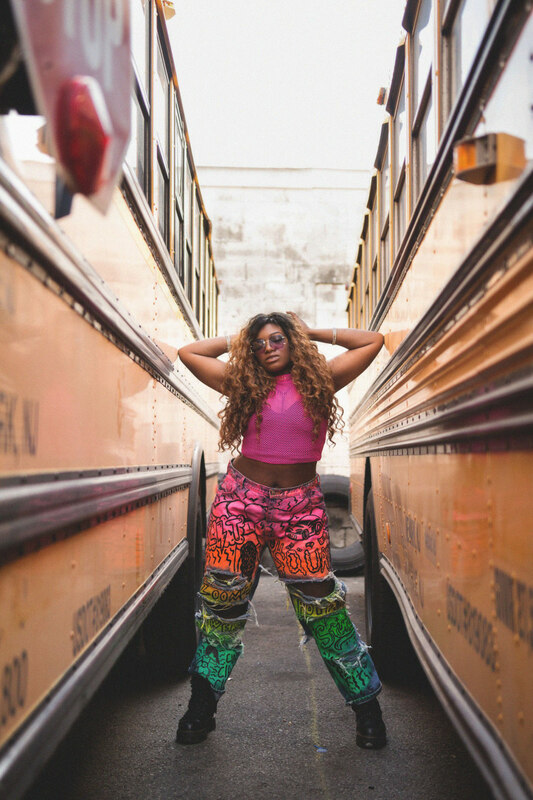 UNiiQU3 joins forces with fellow New Jersey producer DJ YungKiidd for her energetic and unapologetic new single "Trunk." Set to be released on Nina Las Vegas's label NLV Records this June 2, it channels New Jersey’s signature club sound with lightning-fast lyrics, a touch of hip-hop, and a load of sass. Last year, the two collaborators remixed Skepta's "Man" and transformed the song into a fierce and twerk-worthy anthem. UNiiQU3 maintains that same energy with "Trunk." The N.J. producer is quick to let you know that she's a heavy contender in the game with bars like, "I stick to the script/ I know how to act like a bad one/ Get my hair laid and my nails done." This bombastic track will have you walking down the streets feeling like you own the city. "YungKiidd is one of my favorite club producers, and we go a couple of years back," UNiiQU3 told THE FADER in an email. "He's very much a prodigy and can literally produce something in 5 minutes. I'm happy we worked on this together because both of our voices have become staples in the Jersey club scene. Us together is the perfect formula."